Tablet PC is a 7-inch or over computer device usually use touch screen as an input medium. Due to its flexibility and portability, it is widely used for simple computing activities such as typing, browsing, and streaming. When you want to touch the screen of your tablet PC, make sure that your hand is clean. Dirty or greasy hand will affect the responsiveness of the touch screen. 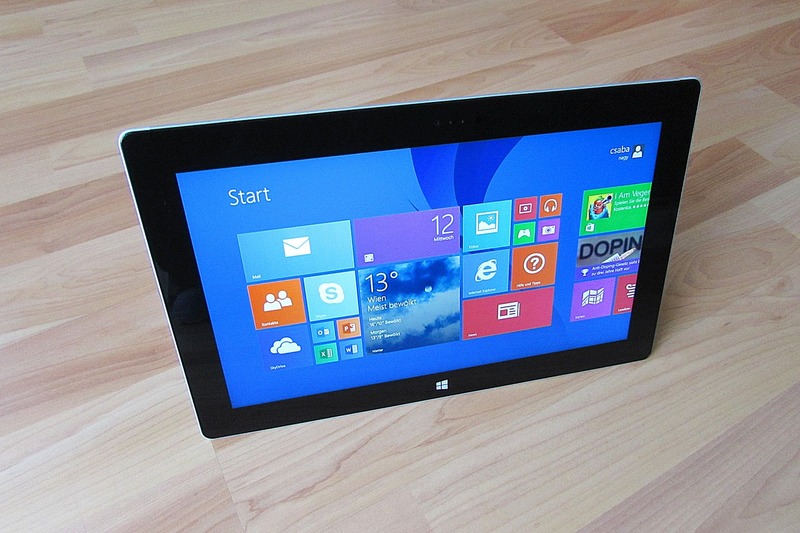 We have already known that touch screen is one of the vital components in tablet PC. To protect the screen, apply a scratch resistant screen protector. There are so many types of protector, such as clear, anti-glare, anti-spy, and mirror. Choose the best protector which suits the size of your tablet. When using tablet PC, we might have just accidentally dropped it causing scratches on its casing. So we have to give protective cover for tablet PC. There are some models you can choose for instance book cover or smart cover like Apple’s iPad tablet cover. The price of smart cover is higher than book cover but it has other functions i.e. as dock, auto wake, and auto sleep. To clean it, use special cloth and liquid for gadget. You can buy it in gadget store. In one packet, there are soft cloth, cleaning liquid, and brush. First, take off protective cover. Then, use the brush to clean dust. Spray cleaning liquid to the cloth and rub the tablet PC smoothly. When we operate tablet PC, it will produce heat. Hence, do not use it when it is overheating. Heat can damage the components. So use it wisely or in moderation. Take time to rest your gadget. Avoid direct sunlight because it has vulnerable screen. Keep your gadget from humidity. Humid area causes corrosion of metal component. Do not place it on top of electronics goods such as TV, DVD player, or other electronic devices. This is to prevent the tablet from magnetic field interference or electromagnetic waves that can lead to broken tablet PC. It is very important to keep the casing of tablet PC safe since it protect vulnerable components. When you want to download a new application, make sure that you get it from official application store. Download application from unknown source will increase the chance of malware.